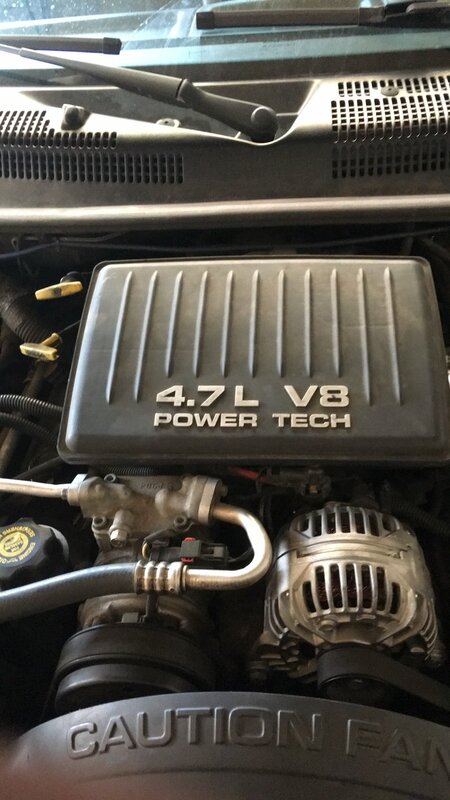 Thread: Turbo 4.7 Grand Cherokee? Guess no one here have experience installing that turbo to a GC. Hears an update on what has went on. The turbocharger was intsalled. Had to upgrade fuel injectors cause stock wasnt holding up too well. It lasted about 2-3 months but eventually the exhaust impeller blew to tiny smitherines. Was extremely fun while it lasted. Boost came on roughly between 3800-4300RPMs spun first and second. Was only on about 11lbs of boost. But maybe it was due to how bald my tires were. I have two clips on youtube though it isn't much. I broke the phone that had most of the pulls and 60mph rolls. Raced my buddys 6.2 sierra denali. Took it with ease by about 1 and 1/2 cars. 5.0s and v8 camaros were more of a challenge but if the pulls were done where the turbo was already spooled (2nd gear at about 65) i would take and have the lead until about 100. Then the sports cars would gap me not by much though. Also since then i have done a Torque Management delete and wired in a switch to toggle on and off. Not sure if i want to experiment more with the Grand cherokee has 230xxx on the clock. A rebuild might be needed soon. Trans is holding up like a champ! Hey man i been wanting to put a turbo on my 4.7 i have some questions as of where did u mount the turbo? Do you have any pics of the set up?